Over the last 75 years, Medavie Blue Cross has established itself as a leading health services partner for individuals, employers, and governments in Canada. 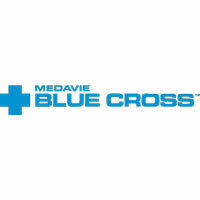 Focused on superior customer service and industry-leading technology, Medavie Blue Cross provides health benefits to nearly 1 in 12 Canadians coast to coast. Medavie Blue Cross has been one of Canada’s Most Admired Corporate Cultures for over a decade with a strong corporate culture. With offices in the Atlantic Provinces, Ontario and Quebec, Medavie is a premier all-in-one carrier that provides health, dental, travel, life and disability benefits coverage to over a million Canadians. On behalf of the organization, we are currently seeking a Vice-President, Operations to lead their rapidly-growing group and individual insurance operations. Reporting to the President and based in either Moncton, Halifax, Montreal or Toronto, the Vice-President, Operations is primarily responsible for providing leadership and oversight in the key functional areas of Benefits Management, Claims, Medical Underwriting, Individual and Group Benefits Administration, Client Data and the Medavie Blue Cross Contact Centre with a focus on ensuring day-to-day operations are consistent with the company’s strategic objectives. The Vice-President, Operations will also ensure the development and execution of a robust plan to enhance the level of customer service and ensure client commitments are met. Establishing performance metrics, leading process improvement, developing and implementing strategic and operational plans for Insurance Operations, and a significant P&L for operational activities will be additional key mandates of the role. As the ideal candidate you bring extensive and progressive experience in a complex service-based industry, ideally within the insurance field, preferably in senior operations leadership. You also bring a demonstrated record of success in process improvement in high-transaction, service-centric environments. You are an analytical and creative individual with a passion for making things better and more efficient. Your financial acumen, decision-making and communication skills have prepared you to lead a complex organization through an exciting period of growth and change and the creation of operational excellence. A Master of Business Administration and bilingualism would be considered significant assets. To explore this opportunity further and to find out more about Medavie Blue Cross, please contact Jeff Forbes, Jason Ozon, or Nick Little at (902) 421-1330 or toll-free at 1 (866) 822-6022, or please apply online by clicking “Apply Now” on the button below.